Are you tired of your old patio door that won’t slide, looks ugly and lets drafts in on those cold winter days? 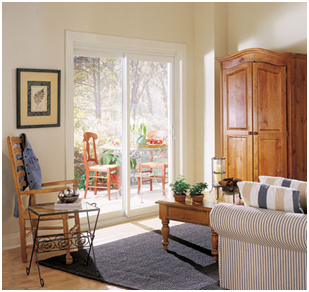 It’s time to replace your door with a beautiful, new, energy-efficient Patio Door from HANSONS!! Our patio doors (door walls) feature sleek styling that will add beauty and comfort to your home for years to come. 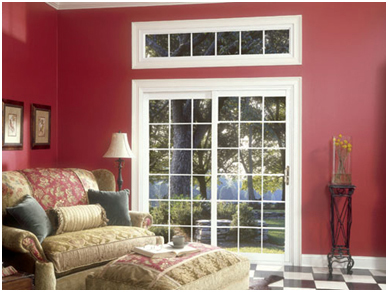 With triple-pane glass from Hansons, your energy savings go further. They also feature “warm-edge” glass that reduces the conduction of outside cold into your home. Be comfortable with the best performing glass you can buy. Stylish options include woodgrain interiors in a variety of wood-look finishes, decorative grids, etched glass, or polished gold hardware. Unique multi-point locking system automatically engages at critical points when the door is closed for a feeling of complete security. Heavy-duty fiberglass-reinforced sill offers superior strength and resistance to frost & condensation. Oversized dual tandem rollers make the door easy to slide by spreading the door’s weight evenly over four wheels.